This Friday, on October 6th, the Russian Embassy in Tirana, in cooperation with Symphony Orchestra of Albania National Radio-Television organizes the concert of Russian classic songs. 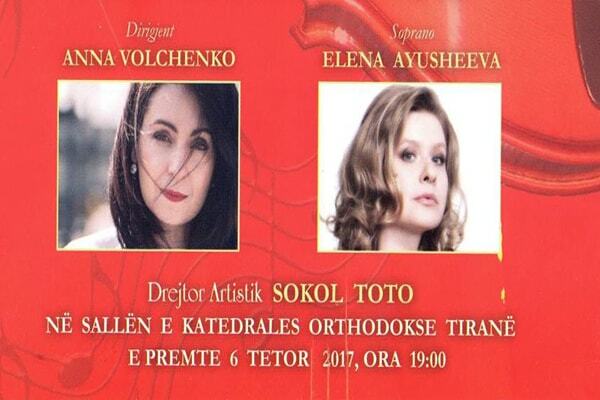 2 artists from Russia will perform in Tirana: soprano Jelena Ajushejeva and director Anna Vollçenko. The program includes plays of renowned Russians musicians as: Pjotr Çajkovski, Mihail Glinka, Modest Musorgski, Sergej Rahmaninov, Aleksandër Borodin etc.